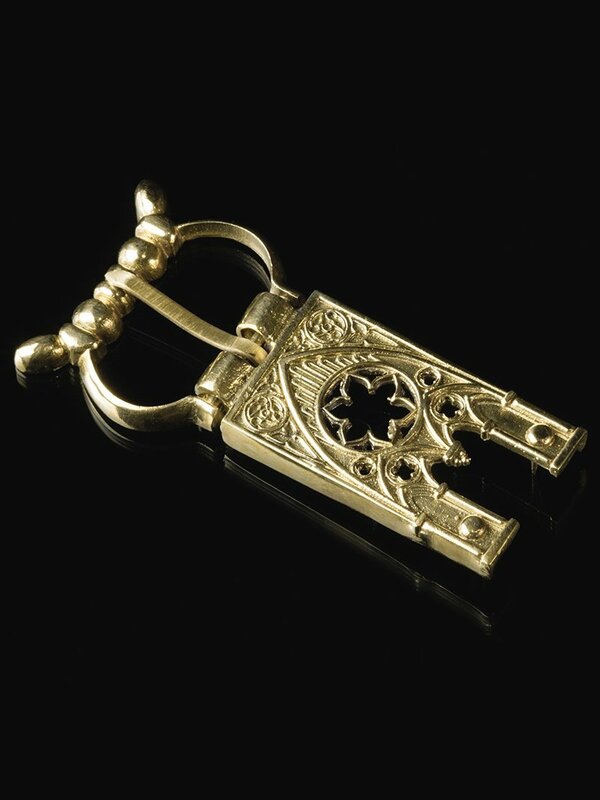 Buckle attachment, Germany, early 15 c. Stylized design. Buckle attachment consists of buckle itself and of decorative brass plates to attach the buckle onto belt strap. Buckle attachment goes as a whole item just as you see on the picture and can not be sold in parts. 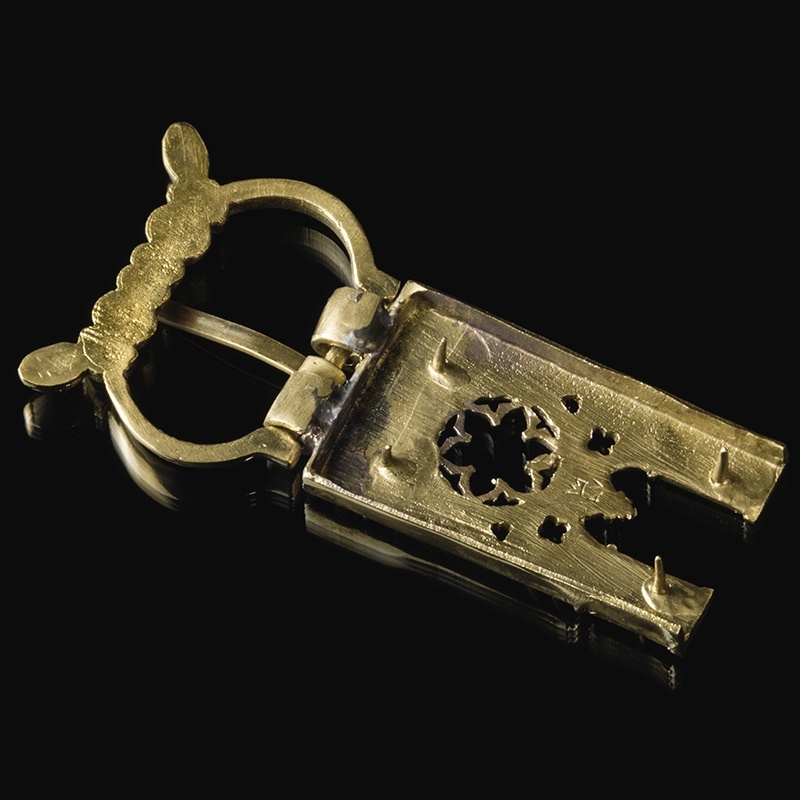 Buckle attachment, England, late 14 - early 15th C. For 40 mm strap ..
Buckle attachment, France, late 14c. For 30 mm strap Important: Most cast items are not in stock and will be produced exactly for you in 10 days term. Gilted Items could be in production up to 20 days. ..